Once recognized, these mistakes can be fixed easily, but if gone unnoticed, these missteps can wreak havoc on your PPC campaign. Learn more insightful information and discover what MarketYourCorp.com can offer your business in online marketing services. Your pay per click campaign (PPC campaign) should serve as a powerful online marketing tool that drives precisely targeted traffic to your website or landing page where a high rate of conversions take place, yielding increased leads. 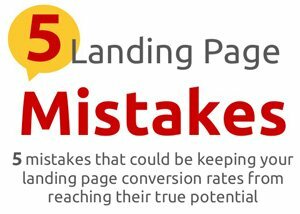 However, there are some simple, yet common mistakes to avoid that could be catastrophic to the success of your PPC campaign, especially when you’re new to the game. 1. Failing to keep the quality score a primary focus when optimizing. Don’t slack on optimization after devoting time to creating a landing page that dazzles. The page title, the heading, and the content must be sharply centered on the target keyword. The quality in your content must be present. It is about the significance of your landing page, keywords, and ad copy that influences your quality score. The better your quality score, the more money you save in costs per click, and the more your ads will be seen. The advantage to having a high quality score is great, and it is a chief part of the success achieved by the pay per click campaign. 2. Too many choices can be a recipe for disaster. Don’t let traffic lose its sight of its objective once it arrives on your landing page. For example, by offering a navigation menu, you are allowing your traffic to make choices. Instead of simply following your call to action, they may wander off to other areas of your website, without ever making it back around to completing the lead form. That results in leads lost. By utilizing proper optimization, visitors who click on your ads will have the desire to learn more exclusively about what your offering. 3. Remember: One Purpose, One Call to Action. Just like with the navigation menu situation described in #2, you want to eliminate anything on your landing page that will distract from your solitary call to action. Any other options presented to visiting traffic will create a diversion from achieving the goal, which is making conversions. By keeping it simple with only one choice to make, you are making it easy for your visitors to act without having to pause and make another split second decision. One strong call to action for each landing page will help maximize your conversion rate. 4. Don’t forget: Image is everything. Engaging imagery on your landing page is essential to boosting conversions. Many consumers want a visual idea of what they are signing up for. If there is a product, there should be an appealing image of it. A consumer who has enough interest to search for a product online will click on your ad if they deem it relevant to what they are looking for. Upon arrival to your landing page, presenting them with an image of the offer will be effective in further solidifying their interest, persuading them to complete the lead form. Simple, yet appealing imagery is of great value in the PPC campaign. 5. Don’t put your campaign on autopilot and walk away. This is what makes enlisting a reputable PPC management company worthwhile. Your PPC campaign and landing pages must be monitored and routinely split tested (A/B testing) to learn their true value. Testing different offers out, layouts, or changing up your call to action can have a remarkable impact on conversions. A talented PPC management company team will maximize how your campaign can work for you. Visit: MarketYourCorp.com and learn about how enlisting the services of this exceptional Google Certified Partner can benefit your business! Or, call today (954) 916 – 9800 for a free consultation with MarketYourCorp.com.